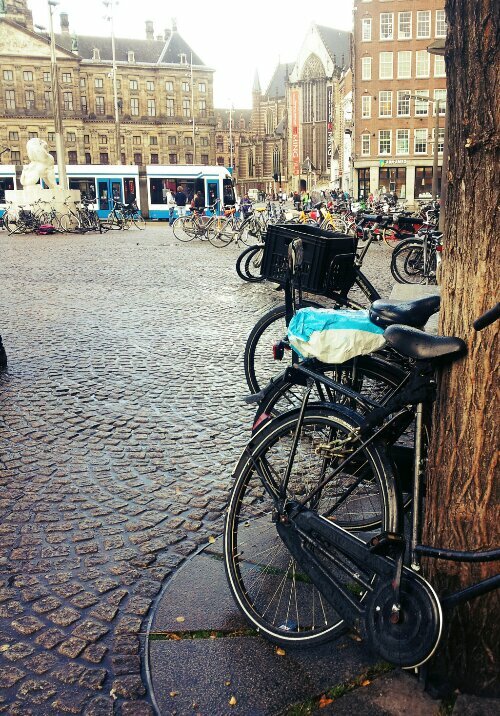 Europe 2013: If I were a Bicycle, I would move to Amsterdam. It’s always a good idea to ask the locals for food advice. 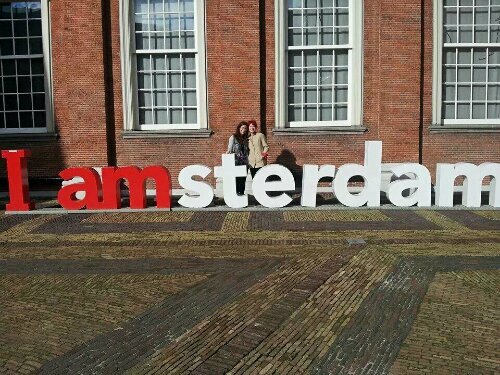 On our first day in Amsterdam, we found ourselves in a candy store, Candy Freaks–no big surprise there. We were given free samples and everything. 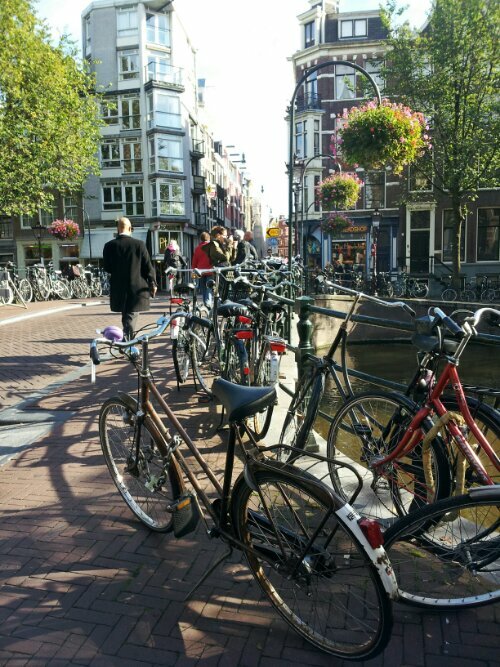 We asked the guy there where to find an authentic Dutch treat. We’re all about the treats, have you noticed? (No? Clearly you don’t follow Jess on Instagram). He steered us towards Sugar `N Ice for some poffertjes–small crepes served with real butter and powdered sugar. SO DELICIOUS. We like the Dutch. The Dutch seem to like their sweets. And since they ride a bike absolutely everywhere, it all balances out. This city is full of slim, happy, treat-loving people. They probably all have nice calves to boot. **Also, there’s a pretty sweet shop in the Dam Square area that sells everything that’s the color red. If you have red hair, you get a discount!! How cool is that?! That’s a lot of bikes; more than we have in Finland. Previous Previous post: Europe 2013: Dear Amsterdam, You’re a Little Odd. We like it. Next Next post: Europe 2013: Trying not to get lost in Germany.